It's finally here. 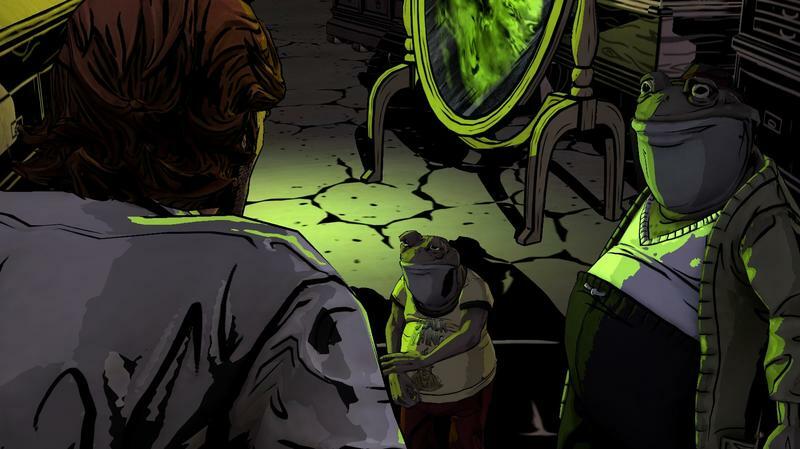 The second episode of Telltale's prequel to Bill Willingham's Fables comic is upon us. We've been waiting a long time for The Wolf Among Us "Smoke & Mirrors." The first episode released in October of last year, if you can believe that, and it left us with a profound and incredibly intriguing cliffhanger. This new episode wraps that moment up and brings with it new revelations, strong characters, morally questionable moments and a deliriously good sense of style. Episode Two of The Wolf Among Us was, it turns out, worth the wait. It's with this episode that some might decide they like this series more than the already incredibly popular The Walking Dead. For good reason, too. This episode in the five point arc works hard to establish a lot of potential plot. There's three more episodes to go from here, so Telltale took the time to further build Bigby Wolf's character while letting players fall deeper down the rabbit hole of this prequel story. 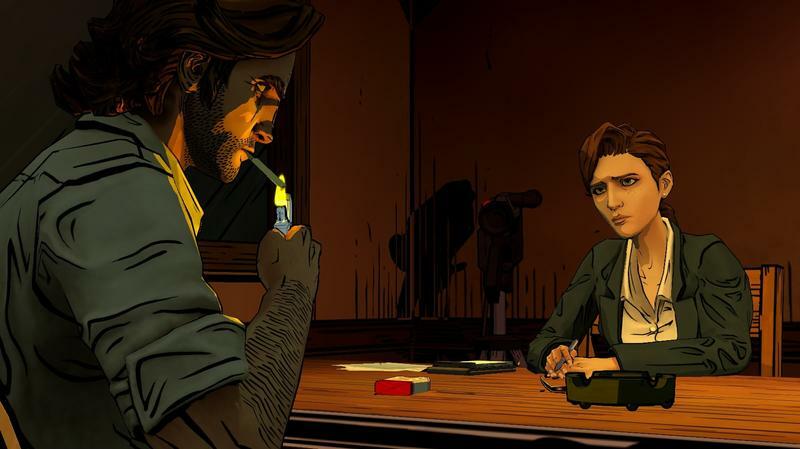 While the first episode of The Wolf Among Us served as an introduction to detective life while building the premise of Fabletown for newcomers, a world where fable characters have been forced to live in secrecy in New York, Episode Two finally runs with those ideas. There's no mess of showing gamers what Fables is and letting them figure out how the world works with glamours, evils and the nature of the big bad wolf. Instead, the game just fires right up and pushes the central mystery that the original set up even further. Now, since this is only the second big beat in a five beat story, don't expect anything too crazy conclusive to happen. You'll finish the episode with more questions than answers, and Telltale manages to drop a Cliffhanger that, while not as shocking as the first, brings more intrigue to the table. 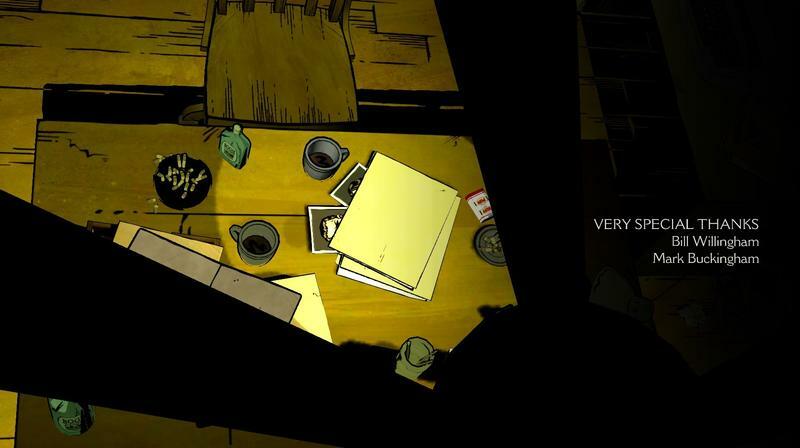 The gameplay here is much more focused on both connecting evidence, pushing dialogue and choosing whether or not to embrace your inner wolf. As you play and investigate scenes or interrogate characters, you'll be constantly pressed to enter rage mode and tear someone to shreds. It's easy enough to ignore, but it gives a sense of what's to come when Bigby finally faces a situation that will force him to lose his cool. Everything you do here, in fact, serves to set up the big choices will almost certainly see in episodes three, four and five. How you handle these character interactions feels very much connected to how things will roll down the line. 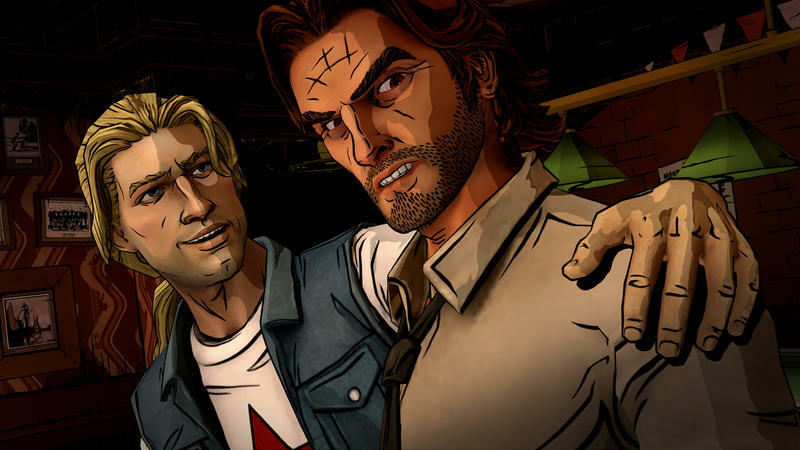 Telltale was in the business of making adventure games long before The Walking Dead came along. The studio was formed almost 10 years ago. However, it can easily be argued that the game responsible for making them what they are today is The Walking Dead. The success of the comics, the launch of a television show and the buzz of zombie fiction made The Walking Dead's episode release from Telltale an absolute watershed moment for the company and the genre. 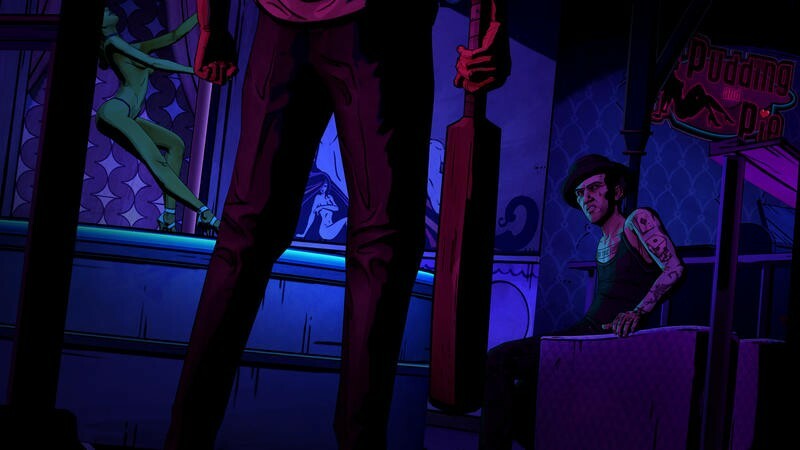 The Wolf Among Us, though, is the first major offering from the company since it wrapped up The Walking Dead's first season. 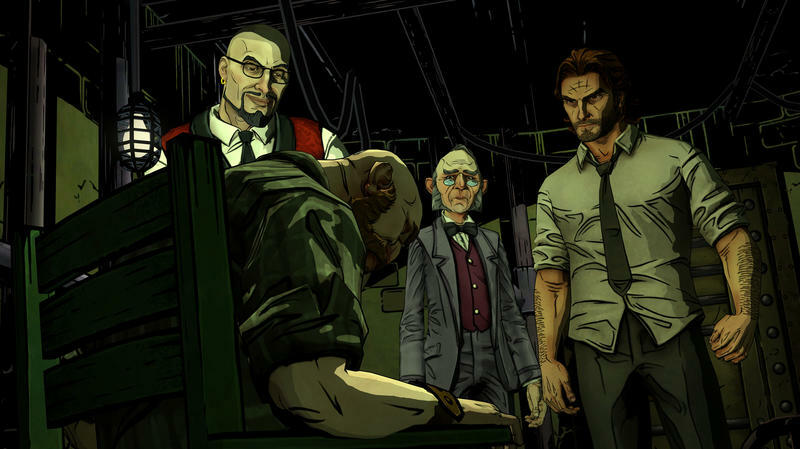 People see the art style, learn about the method of gameplay and recognize the Telltale name, and they might automatically think The Wolf Among Us will essentially be the same type of game. The Walking Dead, though, is more action and puzzle heavy. You need to grab elements, figure out what you should use on what and make your way through hordes of zombies. It's an adventure game that tends to lean on dialogue, action and puzzles, with puzzles sometimes catching a more heavy emphasis. The Wolf Among Us separates itself from The Walking Dead not only in plot and look, but in core mechanics as well. Yes, there's point and click environment exploration. However, where The Walking Dead feels more like a puzzle-based survival game, The Wolf Among Us plays, as it should, like a dialogue driven character drama. These two games deliver completely different tones, something that perhaps caught a few gamers off guard with the first episode. The second episode, though, drives that gap even further apart. We wind up with, thankfully, a tale that feels very much removed from The Walking Dead. Which is great, honestly. 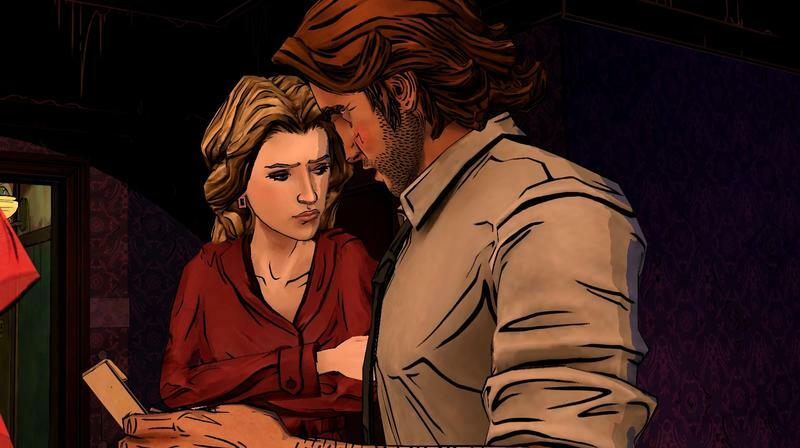 Different source material should lead to different feeling, and we're really glad that Telltale seems to have proven that they can do more than survival drama with their games. I won't be spoiling any story points here, so don't fret if you're trying to go in cold. The nature of this game centers around murders, so people die. It also centers around plot twists, so everything feels exceptionally open ended. That's part of what gives The Wolf Among Us so much potential. Knowing that, at any given moment, the story could be flipped on its head due to a major leap in plot makes the game even more exciting than it already is. The trouble, though, comes for fans of Willingham's Fables. If you've read even a few issues of the series, you know exactly which characters walk the streets of Fabletown. You know, inherently, who lives and who dies. The trouble with a prequel like this is that those who have just an elementary understanding of the work that follows have a lot less to worry about in terms of fine plot points. It's like watching Episodes I, II and III of Star Wars. You know who Anakin Skywalker becomes, and a lot of the drama is removed from that big reveal. 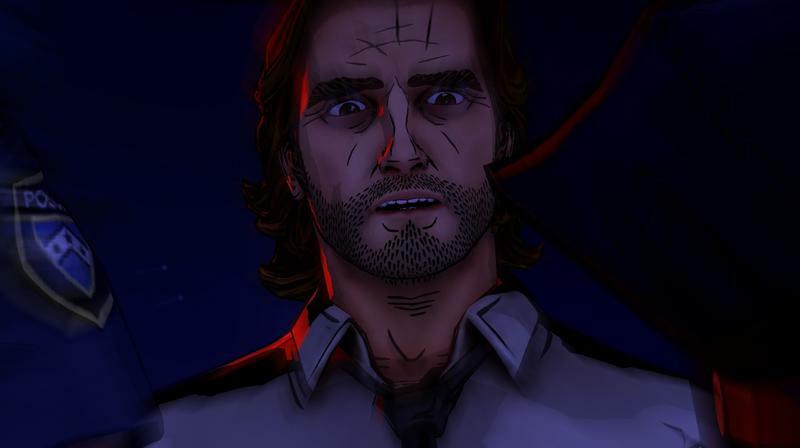 Every time a character dies or is threatened with death in The Wolf Among Us, knowing their role in Fables eliminates that drama. Telltale can try and throw Bigby off a bridge if they want, but we know he's a main character in the Fables comics and simply couldn't die in this game. But, hey, if you never read the Fables books, then all of this is moot. Like I said, this is a problem for pre-existing fans of Willingham's stories. The biggest problem with this episode, and potentially the whole series, is the time it took Telltale to release it. Look, I don't care about game delays. If a title simply isn't ready, we shouldn't be playing it. I can wait for a good game. That's fine. The problem here is that Telltale shouldn't have released the first episode without at least a fundamental guarantee that we wouldn't be waiting too long for the second. It's been almost five months since the ridiculous cliffhanger we were all left with at the conclusion of episode one. That's five months to forget about Fabletown, forget about the relationships formed and the subtle nuances learned. This is a character driven drama that forces players to understand Bigby and the fables around him. Without that understanding, a lot of the subtle twists and turns are for naught. With a five month gap between games, a lot of canon is lost. We can't afford that big of a delay between episode two and three. Telltale's said that it won't happen again. Hopefully they're right. They build way too much potential here for us to wait almost half a year to see it slightly unfold a little bit more. 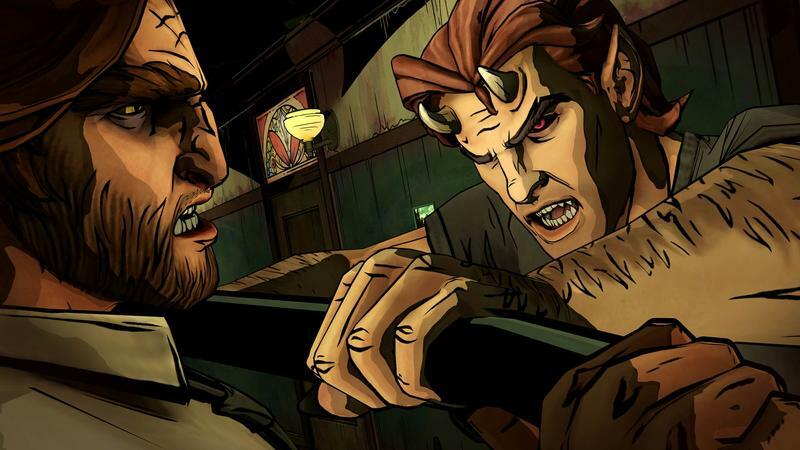 Telltale's convinced us: The Wolf Among Us is going to be very good. You need to sign up for the ride. Make no mistake, I love The Wolf Among Us. In fact, as things are right now, I'm enjoying this series more than I enjoyed the onset of The Walking Dead. Now, Telltale has the opportunity to turn this into a masterpiece of a game if they can deliver it on time, with characters fully explored and moral ambiguity fleshed into consequence. If they can do that, if they can add even more weight to this already heavy plot, The Wolf Among Us will move into a realm of brilliance. Episode Two is only two hours long, it's not as stunning as the first and it presents more dialogue driven moments that might not please some gamers. Still, it's good. It's aurally and visually outstanding, and it serves as a big platform for a potential leap into deeper waters.